We have seen a recent craze sweeping jewellery social media platforms. 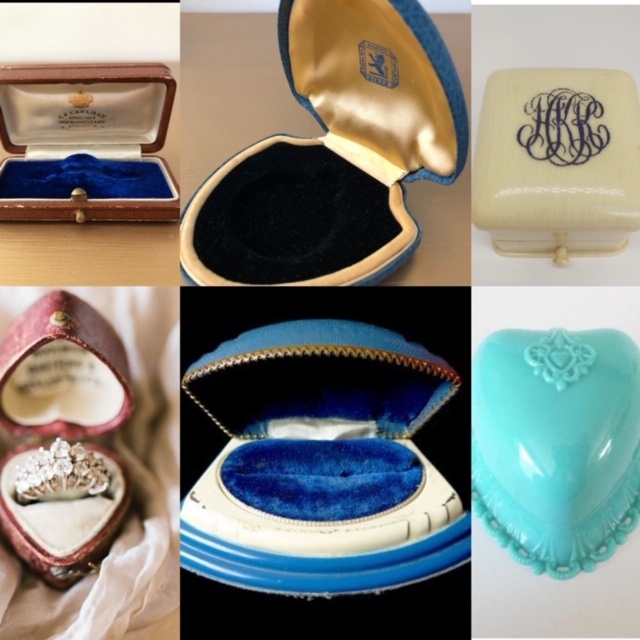 Beautiful photo’s and collections of antique and vintage jewellery boxes!! But why? 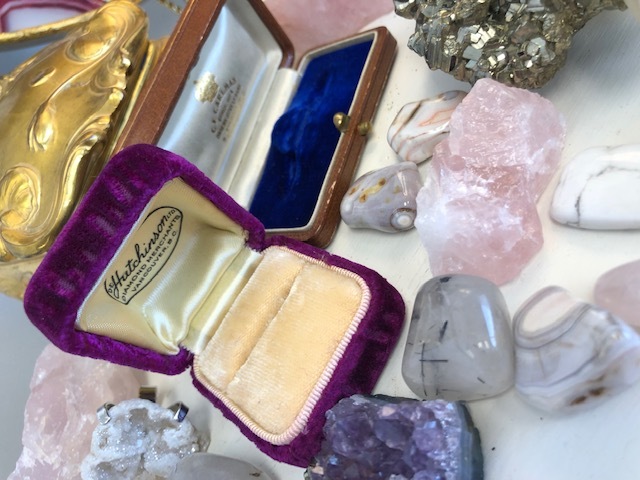 Modern jewellery boxes just don’t offer the elegance that once was. Many are attractive but as the saying goes, they don’t make them like they used to. Currently in jewellery presentation we see big boxy shapes and budget friendly mass produced materials. 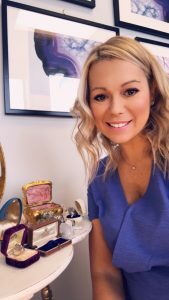 I don’t think I have ever kept a presentation box for any of my fine jewellery other than the beautiful Birks silver bell that came with my wedding band. There haven’t been any others beautiful enough to keep. My eyes absolutely light up when a client brings an item for appraisal with the original box. Antique presentation boxes were made in beautiful unique shapes, colours and materials. 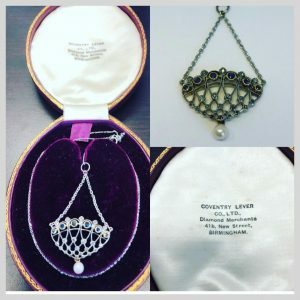 They had velvet or fabric lined interiors with silk lined tops, and carefully imprinted with the jewellers name and location in an attractive script. Boxes were made to be kept with the fine jewellery item throughout the lifetime of the piece. Some boxes were even made specifically for an individual item. Attractiveness and uniqueness are the reasons people kept them and cherished them. Today, collectors like myself enjoy the hunt for the antique find! 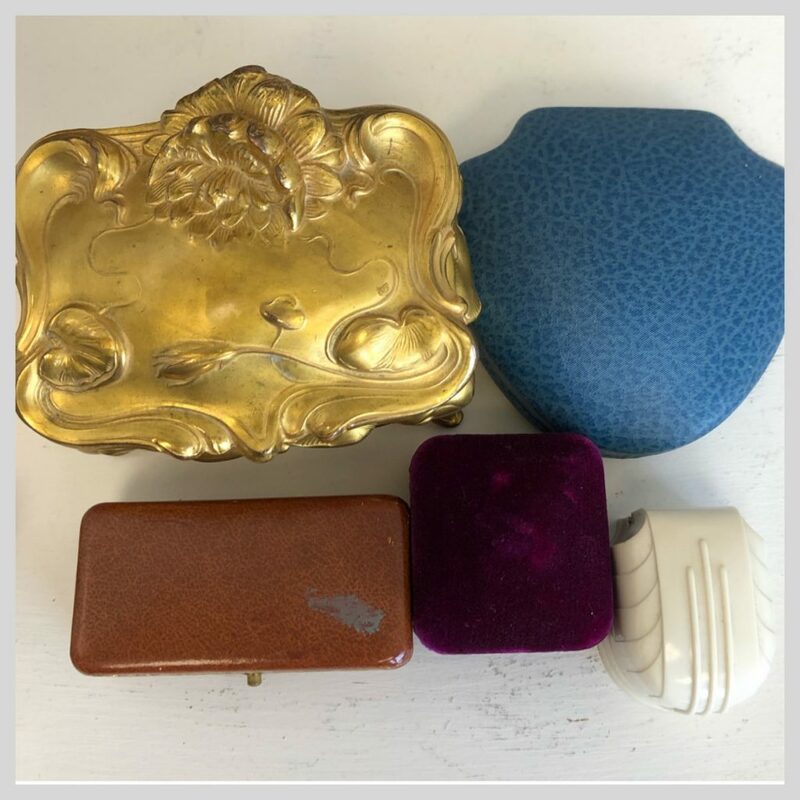 On Ebay http://www.ebay.ca you may search a selection of antique boxes ranging anywhere from $20 upwards of hundreds of dollars. Brides and photographers are purchasing them for unique photo opportunities. Jewellery retailers are purchasing them for display or marketing images with their product. Companies have noticed this trend and started creating their own beautiful velvet boxes that resemble boxes from years ago. They offer custom monogram options and wide colour selection. For example http://www.themrsbox.com.People are purchasing custom fabric monogramed presentation boxes online to make their proposal presentation special and attractive in engagement photographs. Brides are purchasing them to compliment the colour theme of the wedding. Fine jewellery is precious and valuable. I am happy to see that there is a movement towards bringing back the elegance in fine jewellery presentation. 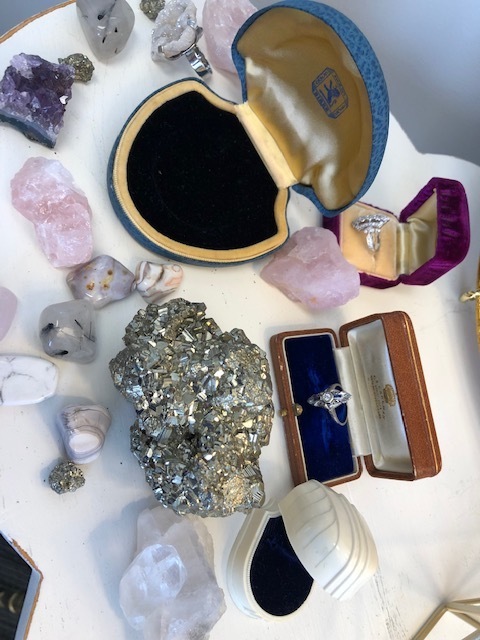 Thank you to Glitzy Jools and Antiques and FOREVAGEMS for product photographed in this post. You may find the FOREVAGEMS vintage online shop on Ruby Lane and Glitzy Jools can be found in Port Dalhousie Ontario.